cafeAmaro has performed many concerts, and important events such as Vinitaly in the format of d.j. and harp. On their “Summer tour 2015” presented the evolved version of the project with their addition of video projections performing in the Viggianese International harp festival 2015, in the province of Basilicata and in concert at Castel Arezzi as part of a summer festival in Salerno. In 2016 they performed with Mater ContempORAnea, an improvised music collective of FLOS. 2017 cafeAmaro live shows include FLORENCE , and MILAN,IT. Diane Peters is an artist of international level, who played in various non classical formations in Melbourne’s venues and jazz clubs. She has a BA in jazz, improv from the VCA, and honours in Composition at Monash Uni. Melbourne, Australia. In 2001 a CD with her quintet “Diane Peters’ Archaeopteryx”of her original music was released, recorded for Radio "ABC Jazz track" at ABC studios Melbourne. 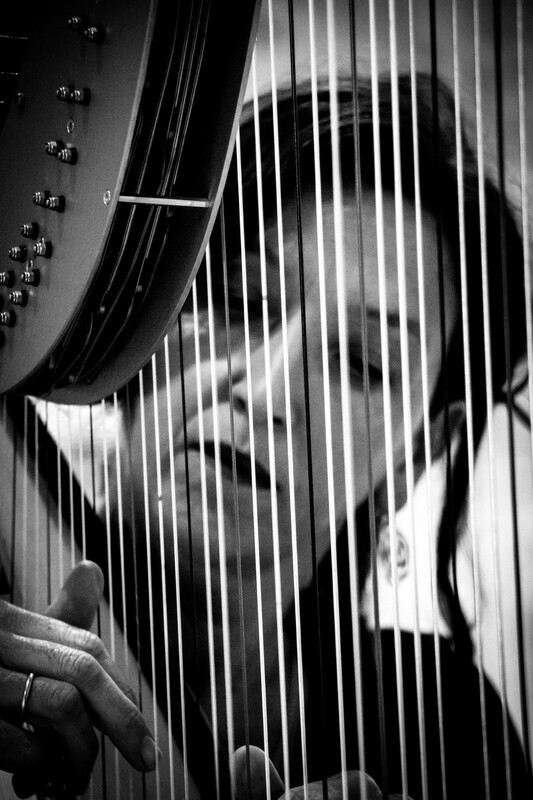 She played in NY, Paris, Belgium, and Amsterdam (at the 5th European harp symposium). Other invites to play on the stages of International harp festivals include: ’98 Perugia, 2001 Arles, 2004 ANU, Australia and 2015 Viggiano. In Italy since 2005, she has interpreted her music with musicians such as Stefano Benini, Maria Vicentini, Yuri Goloubev and Danilo Gallo. She has recorded for Nicola Conte (Blue Note Jazz artist). With her project “Harp n Bass” she has played with Antonella Mazza and Bruno Rousselet in Paris and in Australia with Nick Haywood and Lyndon Gray 2105. Composer and performer of original music for theatre, Shakespeare in Veneto 2016. Diane plays the electro-acoustic “CAMAC BLUE". Keyboard player, active for many years in the Italian underground scene. Member of the band Cinemavolta, who have produced a number of CDs. 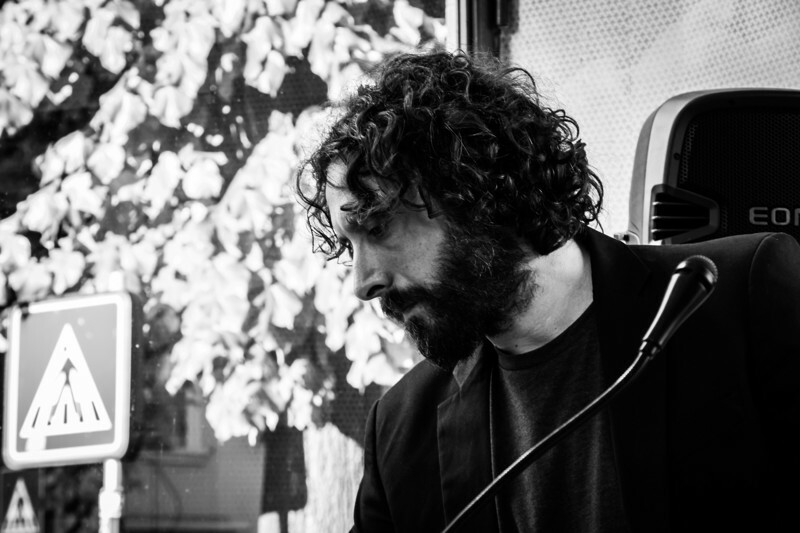 With Cinemavolta he has undertaken an intensive activity of live shows and touring in Italy and France, playing many times in Borgogna ( FR) and in Paris. During the event of Amarone in Jazz 2010, he devised the show called “Video Jazz Remix”, involving live dj set with synchronised images. He has appeared in numerous recordings, and has written music for documentaries including ( No Sweet Home ) and for Tv. Recently he has collaborated with Paolo Cattaneo, Angela Kinczly, Matteo Mantovani and FLOS. cafeAmaro ha già all’attivo concerti e partecipazioni importanti come Vinitaly ed eventi in veste di d.j. ed arpa. Nel loro "Summer tour 2015” hanno presentato una versione evoluta del progetto con l’aggiunta di immagini e video proiezioni esibendosi nel festival internazionale di Arpa Viggianese 2015 e nel festival estivo a Castel Arezzi. In 2016 hanno collaborato con Mater ContempORAnea un collettivo di musica improvvisata di FLOS. cafeAmaro ha presentato il disc con l’evento anteprima Verona e seguendo l’uscita a Gennaio 2017, presentono i live con ospiti in Italia ed all’estero. Live di 2017 includano FIRENZE e MILAN.